Motorola QA30 is a slider cell phone with standard 4 row QWERTY keyboard. The QA30 operates on a 3G network but unfortunately hasn’t been picked up by the giant CDMA carriers. However, Motorola QA30 has some special qualities. Samsung S5200 is a new mid range slider phone by Samsung. Samsung S5200 initially available in Netherlands and other European markets and it’s retail price is $182. LG Xenon released for AT&T is a sleek and attractive cell phone available in the markets of US. LG Xenon has a large touch-screen and a standard QWERTY keyboard similar to the recently launched LG models for AT&T. LG GD 900 is a new slider phone by LG which is no match for LG GC 900 or LG KC 910 when it comes to style. The new LG GD 900 has a crystal touchpad which is almost transparent. Read through to get a review for the latest LG. The new Samsung SGH I627 Propel Pro is the predecessor of Samsung Propel. The Pro operates at AT&T’s 3G and Wi-Fi networks and is probably the best choice for business personnel on the go. Nokia Thresher and Nokia Mako are two new devices that have been created for the AT&T network in US. For the first time Nokia has decided to launch a new product first in US than in Europe. Nokia E55 and Nokia E75 were the first of Nokia devices that had the new email user interface. Without any doubt, E-series has been one of the most successful product line for Nokia and these two devices are best example of it. 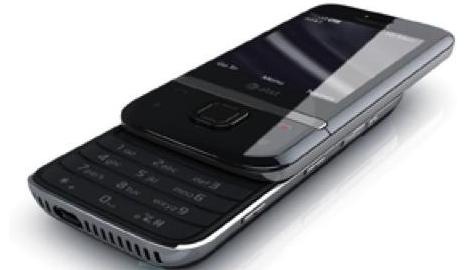 Nokia E75 is an internet ready phone with new email user interface. Nokia E75 is the most popular phone in Nokia E-Series. Nokia E75 is an inspiration from the old Nokia 9300 communicator. Its a slider phone with a standard QWERTY keyboard. The new Apple iPhone 2009 is set to be launched somewhere around mid of June and rumours has it that this time it will come with 4G technology. Apple iPhone 2009 is also expected to come with OLED display on board. Read through to know what else is anticipated.